Okay, I'm like a week behind blogging this - but I really like this remix. 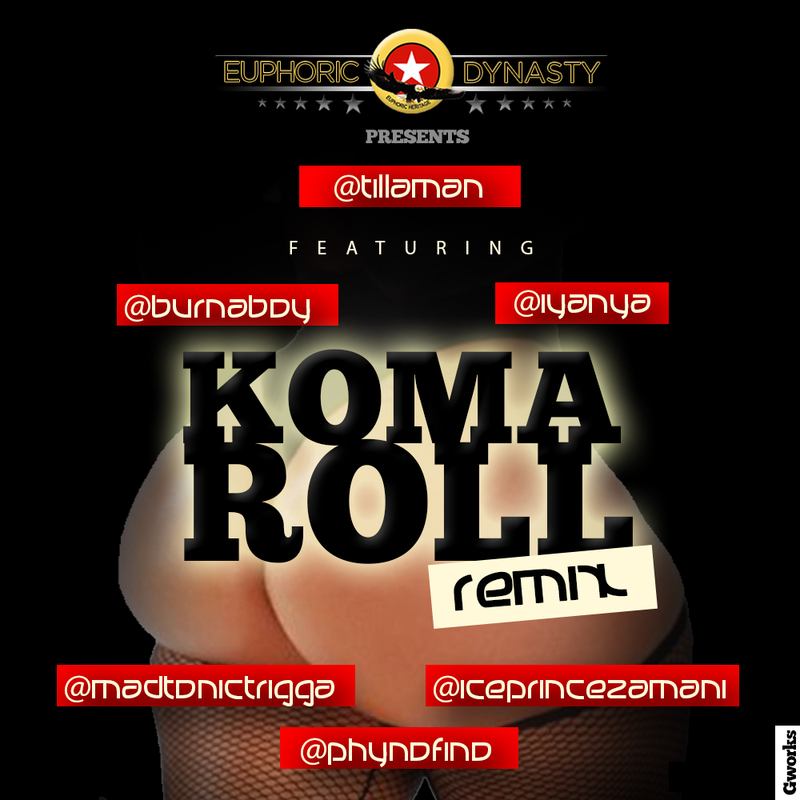 Tillaman brings together Burna Boy, Iyanya, Ice Prince, Phyno and Trigga Madtonic for the remix to his hit Afrobeat club single 'Koma Roll'. The original music video has been banned on NBC in Nigeria (is there a music video that they don't ban on that channel - but shown on every other channel) - hopefully Tillaman will make a remix video?.. I'm sure that will be fun!